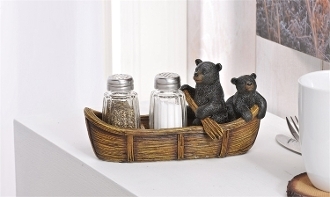 This 3-piece set is a novelty set of classic salt and pepper shakers set into a rowboat featuring two black bear figures! One has an oar as if he's rowing! Imagine this conversation starter at your table!